This female Prairie Falcon had a nest in a nearby cliff on the prairie, and she was letting us know in no uncertain terms that we were not welcome. 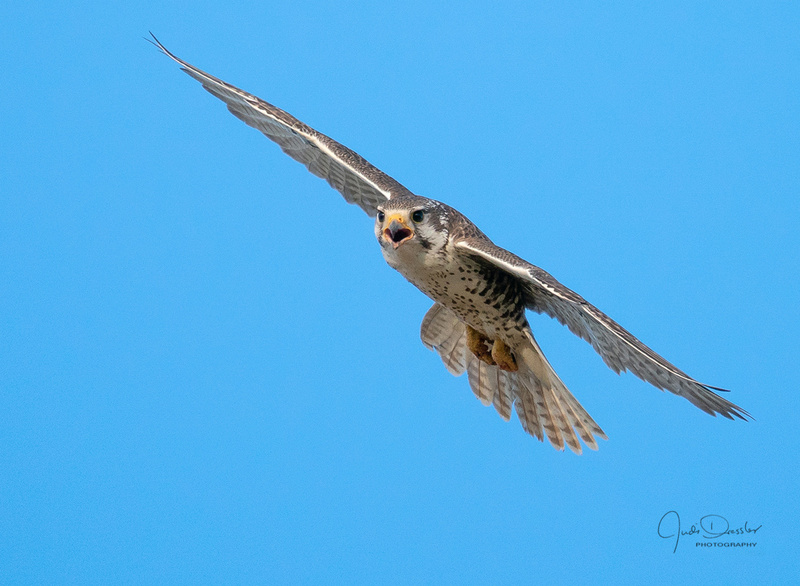 Prairie Falcons are known to be quite vocal in this way. So we did leave, but took a few photos first; it was hard to tear ourselves away from these beautiful birds! Photo taken on June 5th, 2018, in SW Wyoming.